This tour is currently full. We do however have a waiting list in place, in case someone needs to cancel. If you would like to put your name on the waiting list, please use the booking form below. This tour offers you a unique perspective on the African wildlife, as our main focus is photography from sunken hides. This means you will be shooting just above water level! The photographic hides are built to maximize the photographic potential of the animals that visit them. They have been positioned with consideration of the angle of the sun, the background and the angle which the viewer occupies in relation to the animals and birds. There are multiple hides on each location that we visit, and we’ve arranged exclusive use of all hides on the reserve for our group. This means everyone has the opportunity to shoot a lot of different shots from different angles and with different backgrounds. We will work with a rotation schedule to give everyone a chance to be in the various hides at different moments of the day. Although the focus of this tour is primarily on spending our time in the various hides, we also offer game drives, as we have the use of several private safari vehicles for our group as well. We welcome everyone in Johannesburg, where you will be met at the airport and taken to your hotel. The hotel is located in a nice area with a small shopping mall and several restaurants. We will have a delicious group dinner nearby the hotel. After a good night sleep, we take a private charter to Mashatu in Botswana, where we stay for 3 nights. 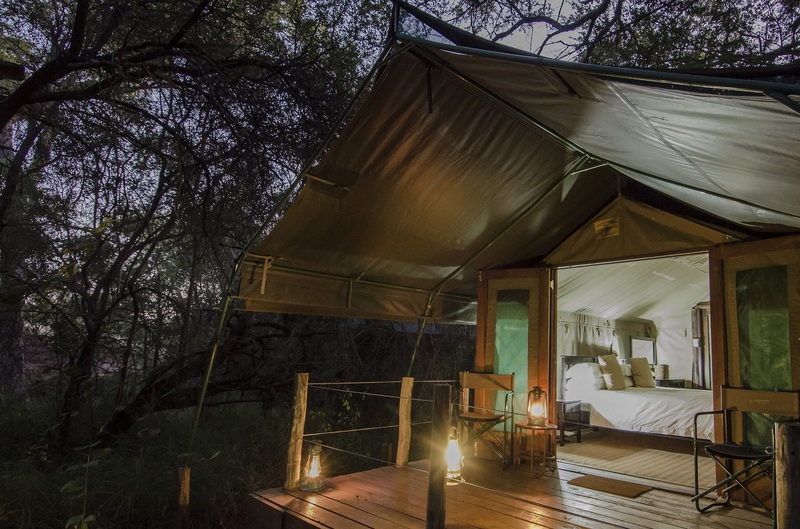 Our group will have exclusive access to Mashatu Tented Camp, which consists of 8 tents. 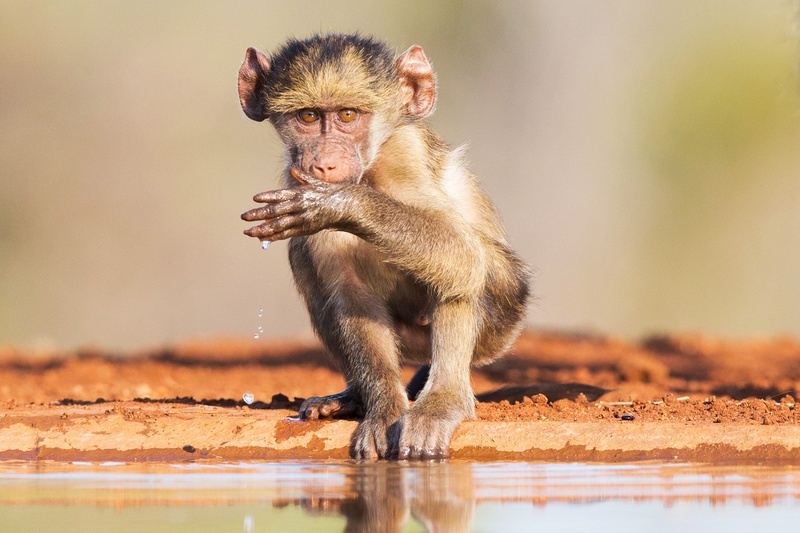 This gives us full flexibility when it comes to our day-to-day schedule and activities, which will be a mix of hide photography and a number of game drives. 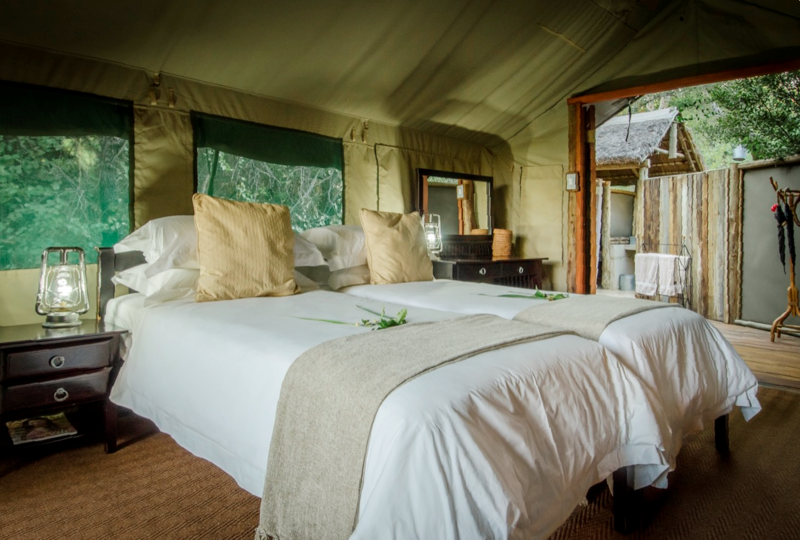 The tented camp has a true wilderness ambience and is located in the remote northern part of Mashatu Game Reserve on the boundary of the Tuli Circle Area in Zimbabwe. Whilst the camp has subtle comforts such as fans, a plunge pool and electricity, the experience is that of close proximity to the sounds and signs of the wild. A true bush camp! 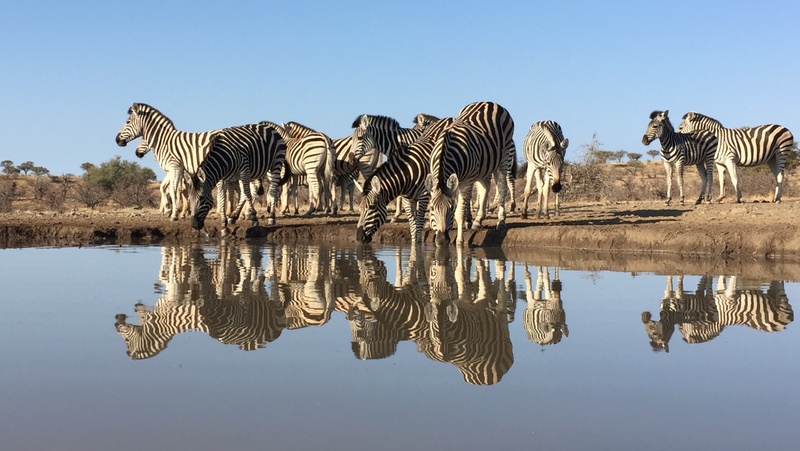 Mashatu Game Reserve comprises 29,000 hectares (72,000 acres) of privately owned land in the conserved wilderness area known as the Northern Tuli Game Reserve. The exceptionally diverse landscape includes wide open plains, grassland, riverine forests, rocky hills, marshland and majestic sandstone ridges. It is a sanctuary to the largest herds of elephant on privately owned land on the continent. In addition to that, the world’s tallest mammal, the giraffe, the world’s largest antelope, the eland, the world’s largest bird, the ostrich, and the world’s heaviest flying bird, the kori bustard are all part of the game drive experience on Mashatu. Add the king of the beasts, the lion and the iconic baobab tree… and you have Africa’s big seven land based giants. Because of the exceptional diversity of landscapes of the reserve, Mashatu enjoys an ecological biodiversity uncommon in other game reserves. Three members of the Big Five, namely the leopard, the lion and the elephant are complimented by some lesser well-known, but interesting, species, including the aardwolf (or ‘earth wolf’), the bat-eared fox, the African wildcat, the honey badger, the spotted hyena and the black-backed jackal. The hide we will use has been sunk into the ground right next to a waterhole, in prime elephant habitat. Inside, seating is arranged so that your head is at ground level. 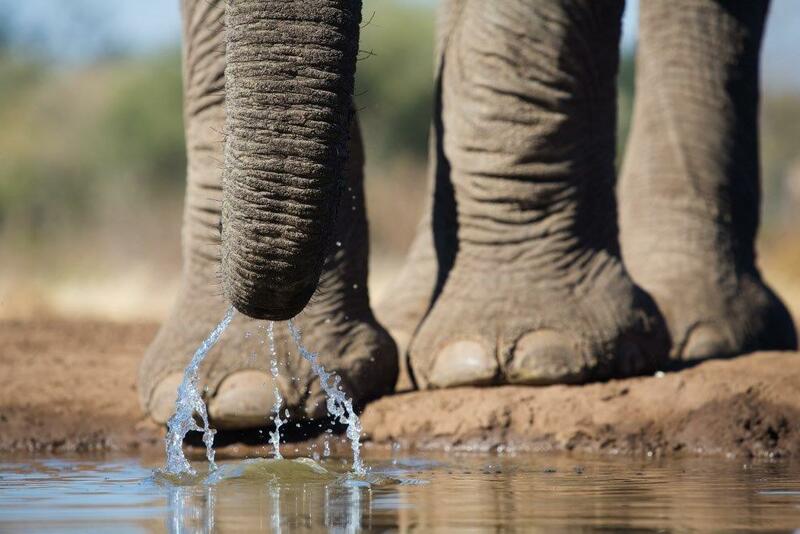 The elephants will tower above you as they splash and drink in the water as close as 3 meters away! The hide is a strong metal structure and totally elephant-proof allowing for total peace of mind. It is also located on a major elephant thoroughfare on route to shade on the banks of the Matabaole and Majale Rivers where the elephants wait out the heat of the midday sun. 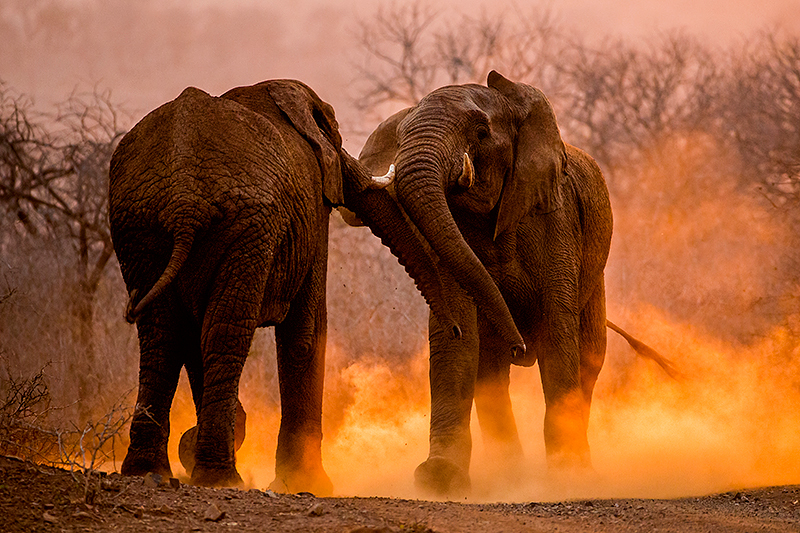 Shortly after sunrise, when the mornings heat up, the elephant herds pass the hide and drink. 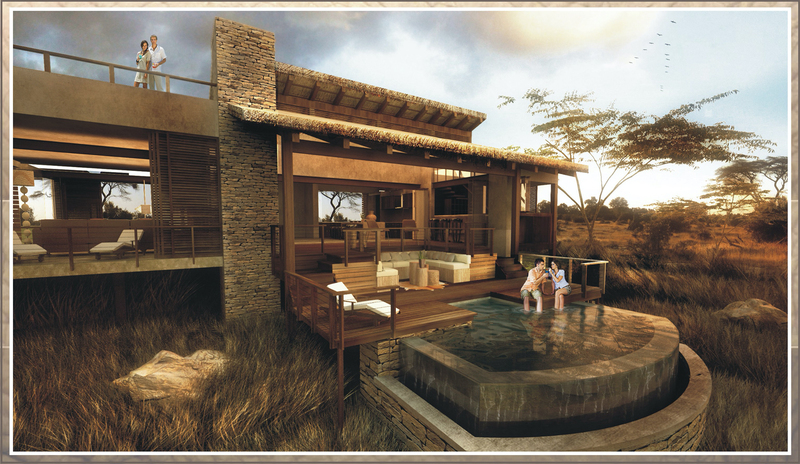 The second hide in Mashatu is situated in another area, to offer a very different experience. It was recently built, away from the rivers on Mashatu in an area called Elephant Valley. In its first few weeks of operation the hide proved to be very active, drawing a variety of species to the hide including the valley’s resident leopard, giraffe, zebra, jackal, hyena, steenbok, impala, eland, warthog and of course a variety of bird species. 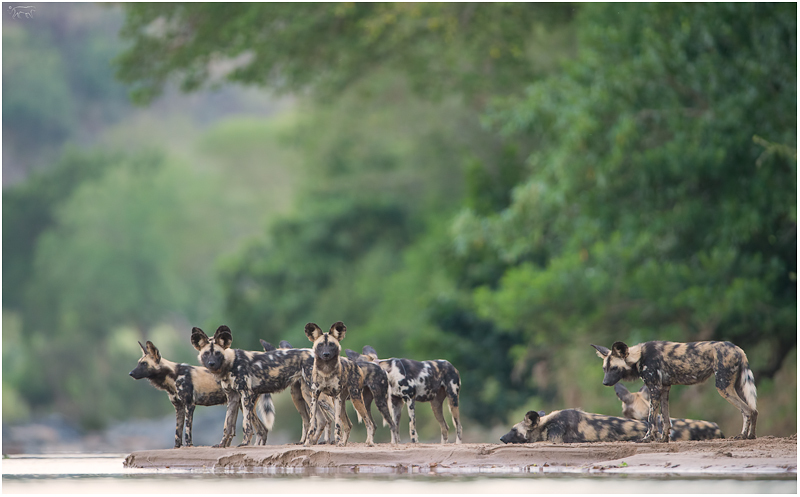 This hide, consistent with the Matebole Hide will become busier as the Mashatu wildlife learn of this water resource in closer proximity to their feeding grounds. After our last morning in Mashatu, our private charter will fly us back to Johannesburg where we will stay in the same hotel as in the beginning of the tour. We’ll have dinner at a restaurant in walking distance. The next morning, we fly to Hoedspruit and will be taken to Indlovu River Camp for the next 3 nights. We have allocated all 4 rooms in the main building and a private villa with 4 rooms for our group. Indlovu River Lodge is situated near Hoedspruit, in the Karongwe Private Game Reserve (part of an area called the greater Kruger National Park). The richly diverse 9,000ha reserve hosts all of the Big Five species of Africa in a free roaming environment. With an abundance of general game species as well as extraordinary bird life you can expect to encounter a wide range of species. Add to this the exceptional experience of the sunken photographic hides at Indlovu, and you are in business! They have two hides, which are sunken below ground level, with the camera lens a few millimeters above the water level of the drinking hole. 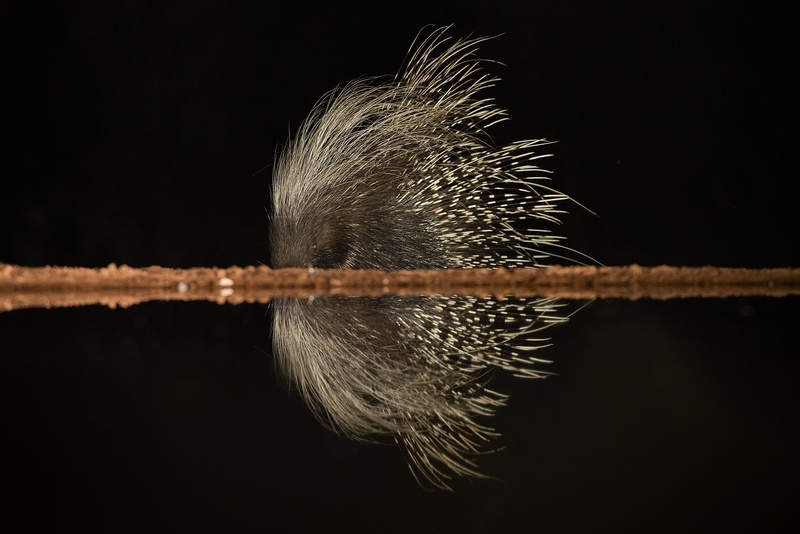 This enables you to capture images of both the animal, as well as its reflection, on the surface of the water. Both hides will be exclusively used by our group. Each at a different angle to the sun, to give you the best light in either the morning or the afternoon. Here we also have the opportunity to mix in game drives with the hide photography. A private charter will fly us to Zimanga Game Reserve, near the eastern coast, where we will stay for 3 nights. Here we not only have exclusive use of the camp, but also of the entire reserve! Located in KwaZulu Natal, it is the first reserve in Africa designed specifically to satisfy the needs of wildlife photographers as well as safari clients who have a deeper appreciation for the bush. 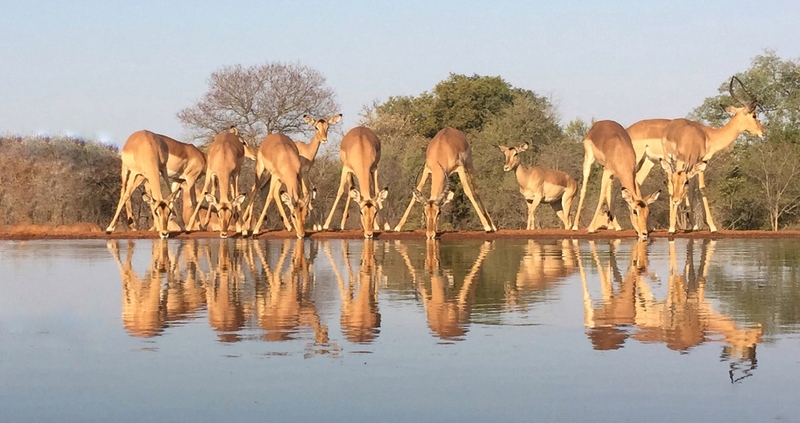 Spread over 6,000 hectares of pristine bushveld, fever tree forests and rolling hills, Zimanga is bisected by the Mkuze River and home to a huge variety of animals and birds. From leopards to wild dogs and elephants to cheetah, nearly every sought-after sighting is accounted for. There are over 400 bird species recorded at the reserve. 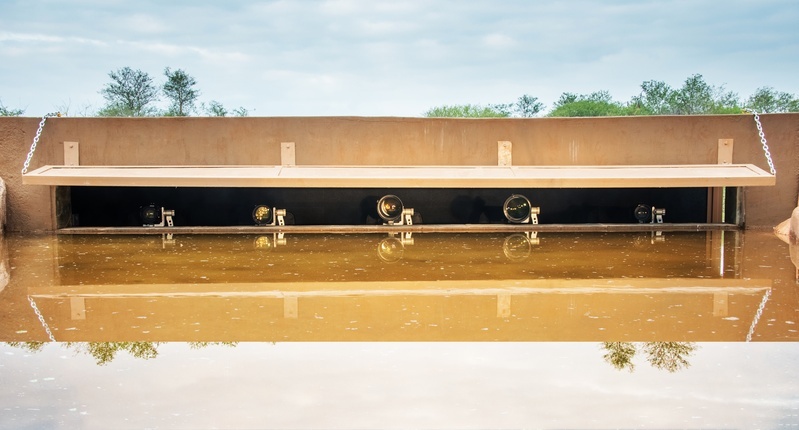 Zimanga is home to several state of the art photographic hides built under the guidance and supervision of award-winning wildlife photographer Bence Mate. These hides are unique in their design and execution in Africa and are already producing award-winning photographs. There are currently five photographic hides on Zimanga, which have been designed with immense precision. First a test box is installed and used for several months allowing the design and positioning to be adjusted, often by the tiniest degree, to ensure that the lighting, focal lengths, backgrounds and animal behavior all fall into place so that you can produce images of startling quality and originality. Each of the hides is designed for its potential subject whether it is a large mammal like a giraffe or elephant, or the smallest of birds like waxbills and twinspots. You will be invisible to your subjects behind specially imported one-way glass so as not to startle the subject with any movements or sounds. You’ll be seated on comfortable executive-style chairs, which glide effortlessly and quietly across the wood laminate flooring. A solar-powered air conditioning unit situated in the roof of the hide controls the temperature and humidity within. The hides are spacious and soundproofed with carpet on the walls to muffle the sound. The hides provide a non-intrusive method of wildlife photography and although the subjects are free-roaming, the hides tip the balance heavily in your favor to get amazing shots. There are several bird hides, among which is a bee-eater hide which is a mobile unit that can be placed in close proximity to where white-fronted bee-eaters nest and produces stunning results for these colorful birds. And there is even an overnight hide, where everyone will spend a night. This hide is custom designed for large mammal photography. 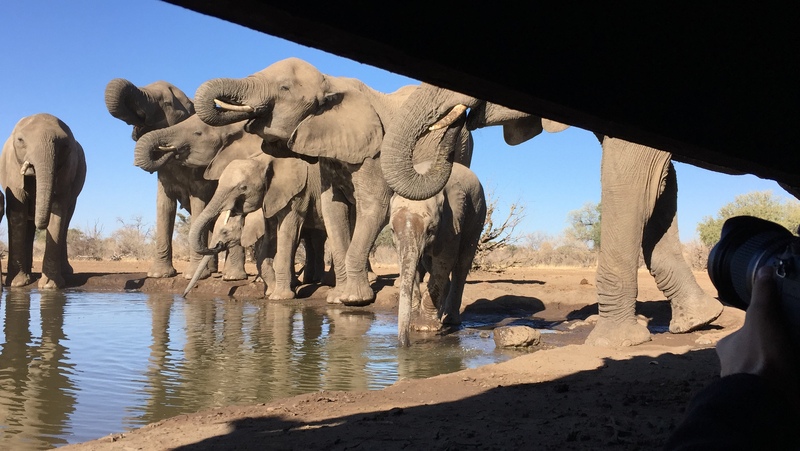 4 Photographers at a time can be accommodated and sleep over in the air-conditioned hide, built into a waterhole with the large window opening up a few centimeters above water level. 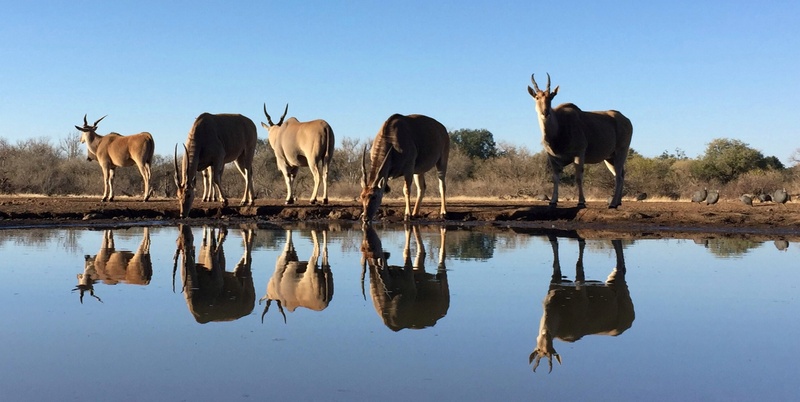 Animals that visit the waterhole drink only a few meters from your bed. The drinking edge is 4m from the your chair, and a large variety of mammal and bird species visit the water-source. LED floodlights have been installed at water level to beautifully illuminate subjects that approach the water’s edge. The hide’s main lights are installed on either side, and the high CRI rating of the lights ensures true-to-life color and illumination of your subject. This ensures you the perfect steady lighting conditions! A network of 22 passive infrared beams keeps a lookout over the drinking edge, warning you of an animal’s approach with a soft beep, hence you do not have to permanently sit at the window whilst waiting for subjects to arrive. After three nights at this amazing place, an afternoon flight from Durban brings us back to Johannesburg where we will say our goodbyes. In order to get exclusive use of the camps, we have to pay for 8 rooms at each location. This means that this tour is budgeted on a maximum of 4 guests sharing a room (for instance 2 couples) and 5 guests in a single room (with a single supplement), as we do not want to take more than 9 guests on this tour. Please read our Terms & Conditions for all Squiver photo tours. For those of you wanting to stay a bit longer in South Africa, an extension to Phinda is ideal from Zimanga, as it is just an hour away. It is famous for great sightings of cheetah and rhino. We can set it up for you and make it an official add-on to the tour. Please note that all images on this page have been provided by the lodges we’ll be visiting on this tour, in combination with some iPhone photographs taken by Daniella on our scouting tour. They illustrate the photographic possibilities only.